A winding driveway leads you to this private and luxurious oasis with luxury and privacy you deserve. This nearly new custom home, built at a cost of $1.6 million, is perfectly sited on ten acres of land just a short walk from Jackson Village. 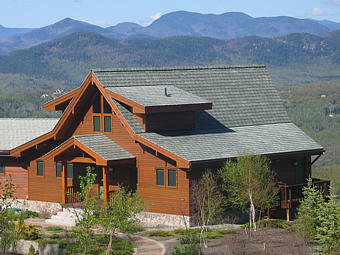 The walls of glass offer stunning sunsets and spectacular Western views of the Presidential Mountains.